This title is out of print so all copies are slightly used and like new. Art teachers, students, and ambitious amateurs all will value this copiously illustrated volume. 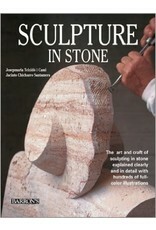 It presents both a general overview of sculpture and a practical guide to working in stone. All important stone-working equipment and tools are shown, from compass and calipers to chisels, mallets, saws, sanders, and drills. Examples of finished pieces are shown from all over the world, and cover many historical eras, including statues and relief carvings from ancient Egypt and the Orient, marble masterpieces from the Italian Renaissance, and abstract figures from the modern era. Different types of stone are shown and described, including alabaster, most often used in small-scale pieces, as well as sandstone, granite, and marble. Practical instruction includes methods of measuring and copying in stone from a clay model. Step-by-step photo essays show several different contemporary works in progress, starting with a rough stone slab and progressing to completion and installation of a finished sculpture. Examples range in scale from small figurines to public monuments. Hundreds of full-color photos show the artist's studio, the processes of stone working, and magnificent examples of world famous artworks in stone. Other informative features include a six-page glossary of stone-working terms and a brief bibliography. 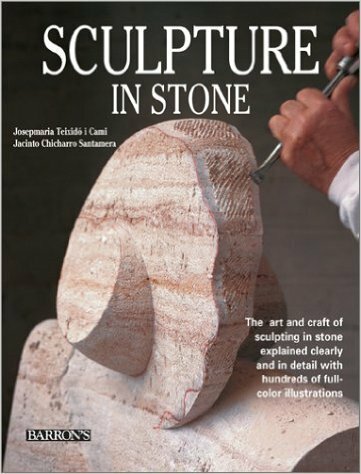 Here is a fine reference volume for artists and craftsmen--but also a book for the personal library of every general reader who has an interest in sculpture and the fine arts.